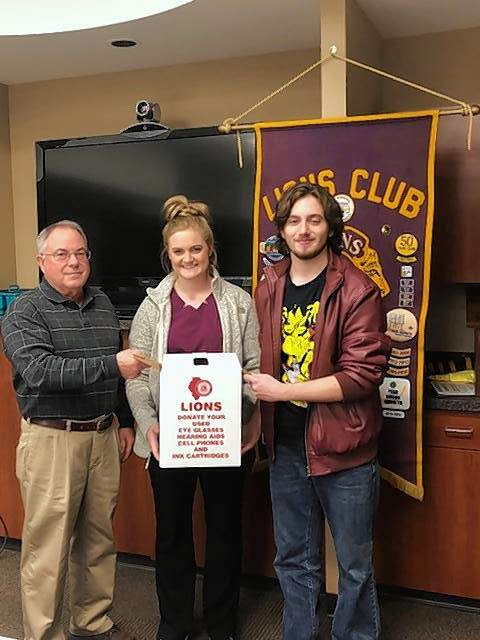 Thank you–Benton Lions Club! They Have Collected 10,000 Pair of Used Eyeglasses for Recycling! According to an article by the Harrisburg Register, the Benton Lions Club, with help from students in Benton, Akin and Ewing-Northern, as well as businesses and area churches, now has collected more than 10,000 pair of used eyeglasses for recycling. It is not known exactly when the 80-year-old club first started collecting and recording its efforts. It is known that Charles Towle, Dr. John Wooley and Bill Lockin were some of the early leaders of the recycling project. The collection of used eyeglasses will be ongoing. Glasses may be dropped off at any of the following locations: Spencer, Spencer and Spencer, Marion Eye Care, SSLM Health Medical Group, the Benton Public Library, US Bank, Peoples National Bank, the American Legion, All Stars and Stitches, Leffler Funeral Home, Pate Funeral Home, or one of the following churches: Immanuel Baptist Church, Whittington Church, First Christian Church, First United Methodist Church and First Baptist Church. If your business, church or organization would like to have a drop-off box, notify any Lions Club member.